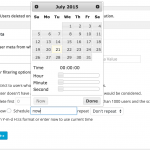 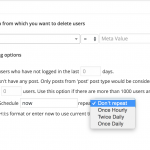 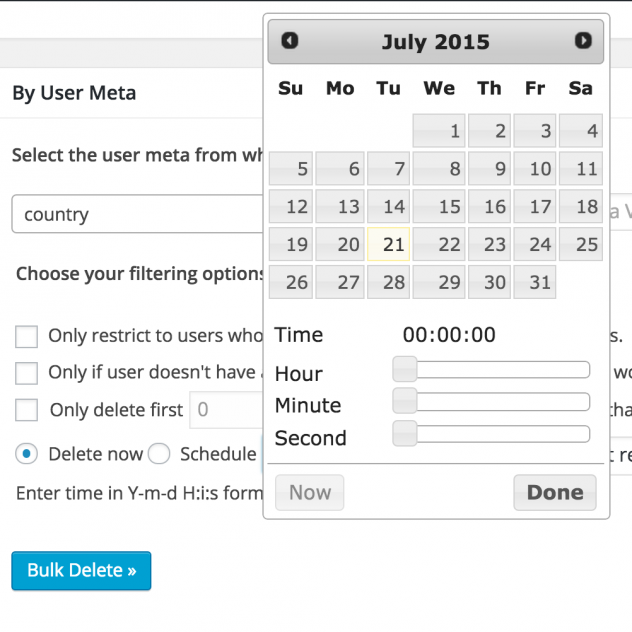 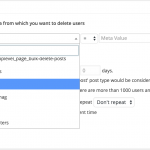 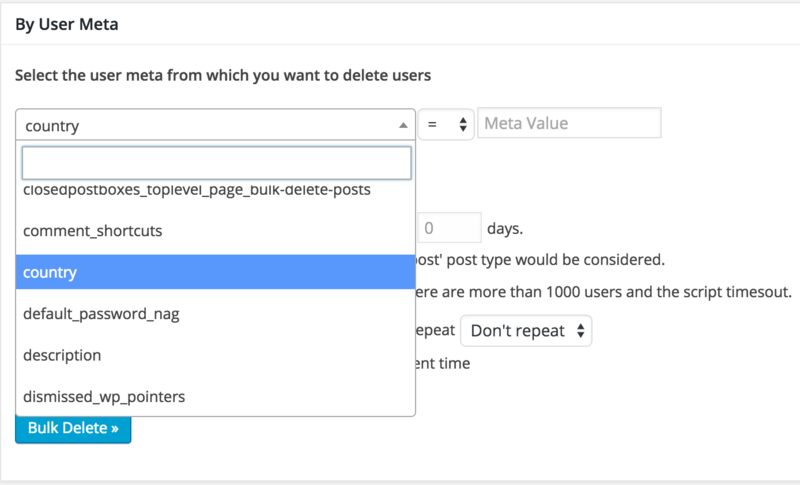 This addon adds the ability to schedule auto delete of users based on user meta. 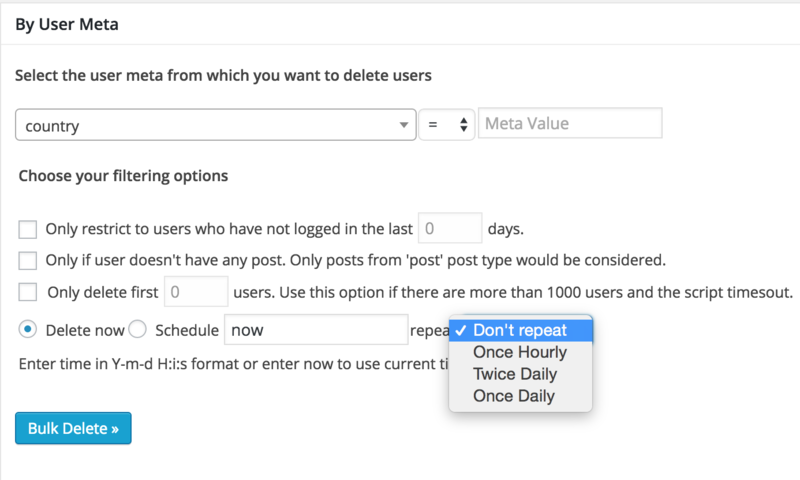 This will be really useful, if you have to delete users based on user meta on a regular basis. 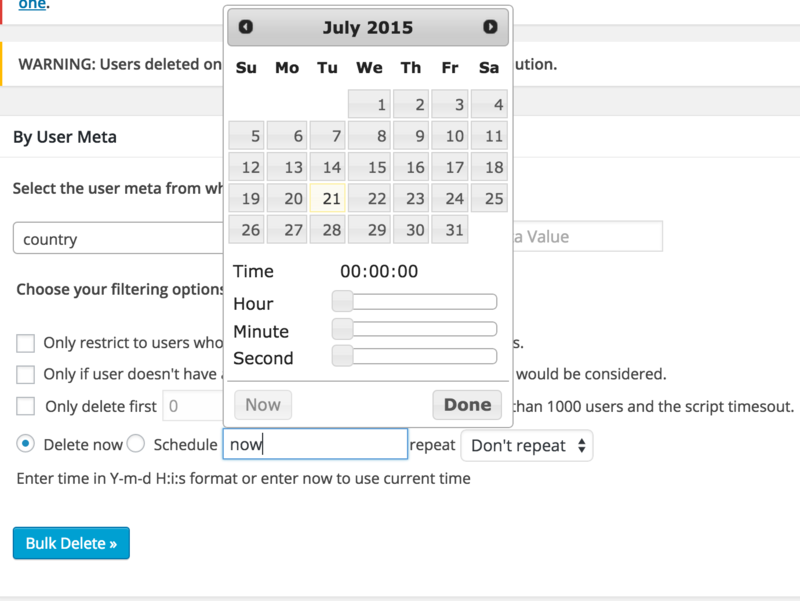 You can choose the frequency at which the scheduler should repeat itself.